Everyone deserves to show off a bright and gorgeous smile. The team at Fortitude Valley Dentist provides a variety of solutions to achieve your dental goals. With many services offered, we’re sure to help you reach the outcome you desire. 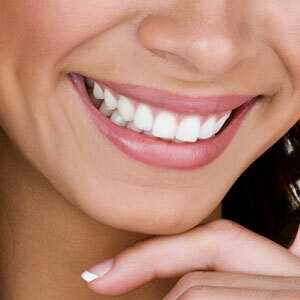 If you feel like your smile has discolored over time, teeth whitening is the ideal solution. If you’d like to get a brighter, whiter smile, our take-home solution is easy to use. You receive trays that you can mould into the shape of your teeth, using a syringe with bleach to whiten your smile in the comfort of your own home. There’s enough solution to last you for two weeks, meaning you can control how many shades you’d like to whiten. What’s the difference between professional whitening and over-the-counter kits? Whitening kits are widely available at the chemist in several formats. There are several advantages to choosing a professional whitening system. Since the trays are custom-made for you, you won’t have to worry about their comfort. They’re easy to wear for the time necessary to complete the whitening process. As they’re prescribed by a professional, we can give you the strongest possible solution of whitening gel rather than a weaker strength. There are numerous reasons that teeth don’t stay as bright as they once were. Some common reasons are drinking staining beverages like wine and coffee or eating staining foods such as berries. Tobacco use causes teeth to discolour quickly, and certain medications can as well. The ageing process can also result in teeth that aren’t as white as they used to be. Yes. It is one of the most popular cosmetic dental procedures across the world and is safe. The number of shades whiter your teeth can become from whitening and how long they’ll stay that way depends on several factors: the amount of discolouration your teeth have and how you’re able to maintain them afterwards are key. We recommend that if you’d like to have them stay as white as possible for longer, refrain from smoking and drinking or eating staining beverages and foods. Can I touch up my results after completing a take-home kit? Yes. It is safe to repeat your whitening at regular intervals. We’ll be happy to advise you on what is most appropriate to maintain the results you wish to have. It’s simpler than ever to gain a brighter smile at Fortitude Valley Dentist. An examination, clean and polish can leave your teeth with a gleaming, beautiful look. A dental checkup and clean at our clinic includes all this and a take-home whitening kit for just $199*! (*or GAP only with health funds, this is valid for all new and returning patients).